Police in Northern Virginia and the FBI are investigating after some residents received fliers claiming to be from the Ku Klux Klan. At least 10 residents have found the fliers outside houses and along a running trail in Leesburg, which is about an hour's drive west of Washington, D.C.
Friday night, Bishop Shawn Stephens was in his driveway, when a woman driving by tossed a bag out of her car window, he told News4. Inside the bag were brochures for the Ku Klux Klan, bird seed and a green Jolly Rancher. "How can this be in 2018? How can this really be our reality at this stage of life? This is America, the land of the free," Stephens said. The paper said hate-filled comments about the Rev. Martin Luther King Jr., the slain civil rights leader whose holiday is observed Monday. "I believe [Martin Luther King Jr.] would be heartbroken," Stephens said. "He was impactful for every group out there. He fought for them. And he was a fair gentleman. And he was a gentleman that loved all people." Another man found fliers laying on a trail near Smith Creek Circle and Scotland Heights Road in Round Hill Saturday morning, the Loudoun County Sheriff's Office said Sunday. One woman told police she found KKK propaganda material near her mailbox in Round Hill Saturday afternoon. Leesburg has been targeted with KKK fliers before. 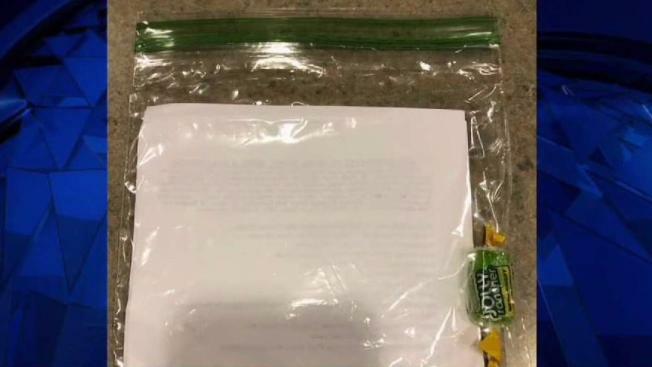 Last year residents received bags filled with candy and messages warning of "white extinction" on Halloween.